Capital One 360 is the new name for an old online banking brand: ING Direct. Capital One purchased ING Direct in 2012 and rebranded the website in 2013. If you were familiar with ING Direct, you’ll find a lot of the features and services you were familiar with at Capital One 360. Capital One 360 is a solid online bank. Rates at the bank are typically better than what you’ll find at a brick-and-mortar bank or credit union. You probably won’t find the best rates at Capital One 360, but you’ll find competitive rates, and competitive is often good enough. If you have tons of money sitting in cash and it’s worth it to earn an extra 0.05% APY, it’s probably worth your while to scour competing internet banks for a better offer. But for most of us, Captial One 360 is a perfectly adequate account. For those concerned about keeping money safe, Capital One 360 accounts are FDIC insured. 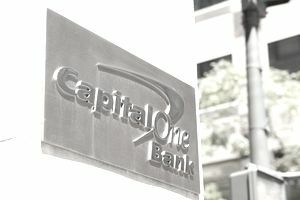 The basic savings account is probably the main attraction at Capital One 360. It’s an account that pays a decent return with no minimums and no monthly fees. Rates change constantly, so you should check their website for up-to-the-minute rates, but you can expect to earn more than you’ll earn at any big bank. To fund the account, you’ll need to link it to an existing checking account at your brick and mortar bank. When you open the account, you’ll submit a check for initial funding, and Capital One will pull your banking information off of that check (your bank information is located at the bottom of your check). Once the link is established, you can transfer money back and forth between Capital One 360 and your brick-and-mortar bank electronically. However, be aware that you can only make 6 withdrawals per month from the account (the same is true for other savings accounts) – if you want to withdraw more often, consider using a checking account. These features are very similar to what ING Direct offered in the Electric Orange account. The main difference is that you can make remote check deposits with your mobile device or computer, and the Person2Person feature is also new. Note that if you have leftover checks from Electric Orange, you can continue using those checks after the name change. Like the old Orange for Business account, Capital One 360 offers online savings accounts for businesses. Again, there are no fees or minimums to use this account. However, you will have to provide additional forms to set up the account in the name of your business. Unfortunately, the business savings account does not pay as much as the standard online bank account. Capital One 360 also offers a savings account for children called the Kids Savings Account. With no fees or minimums, that account allows you and a child to save money in that child’s name. You (the adult) don’t have to be a parent – you can manage an account for any child. The child will have unique login credentials so that they can see their account, but not your accounts. Adults have ​control over deposits and withdrawals until the child turns 18 and the account is converted to a standard 360 Savings Account. The Kids Savings Account is a great way to teach children about money from a young age. In addition to the accounts above, Capital One 360 offers several types of home loans. If you’re buying or refinancing a home, you can use a fixed rate or adjustable rate mortgage. You can also just get lines of credit with several different repayment options. The Balance offers a comprehensive comparison of the best savings account interest rates. We teamed up with Bankrate to survey approximately 4,800 banks and credit unions nationwide. Depending on how much money you’re looking to deposit, this list will show you some of the best options available today. All of the banks and credit unions listed are insured by the FDIC or NCUA.